Sneak Peek: The Build Station! 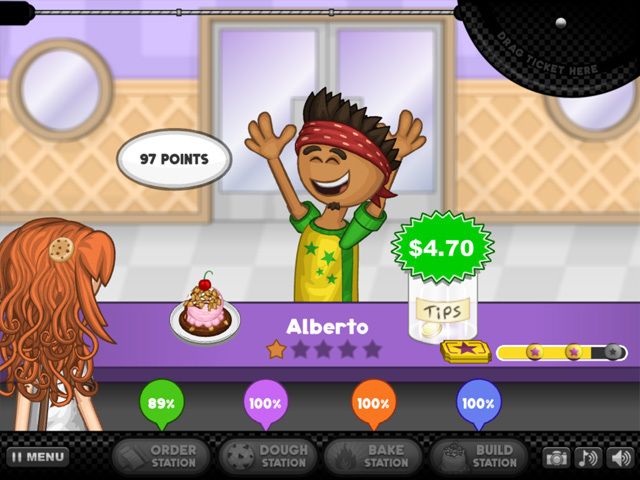 This week we are finally showing off the Build Station for Papa’s Scooperia! 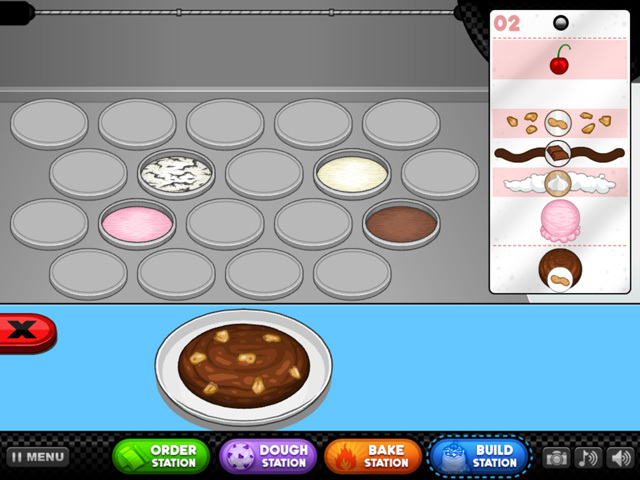 When you first arrive in the Build Station, your baked cookie will slide up front while the freezer in the back will open to reveal the ice cream bins. Once you select an ice cream, the bin will rise up, the freezer will close, and your handy scooper will slide in. Slowly drag your scooper around the perimeter of the ice cream bin. Make sure you don’t go too fast or you might mess up the size of the scoop. 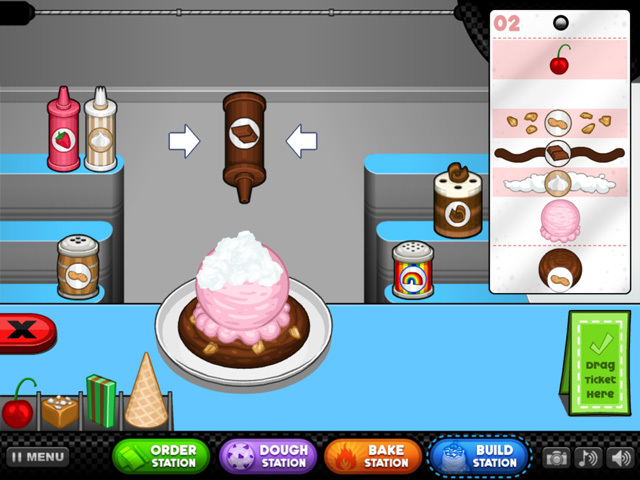 Once you have finished scooping your ice cream, the bin will slide away and you will be able to drop the scoop onto your cookie. 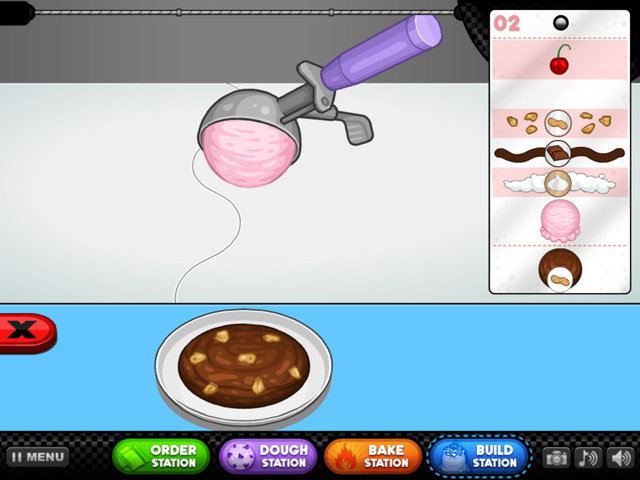 After that, all your available toppings will appear, and you will be able to finish your Cookie Sundae!